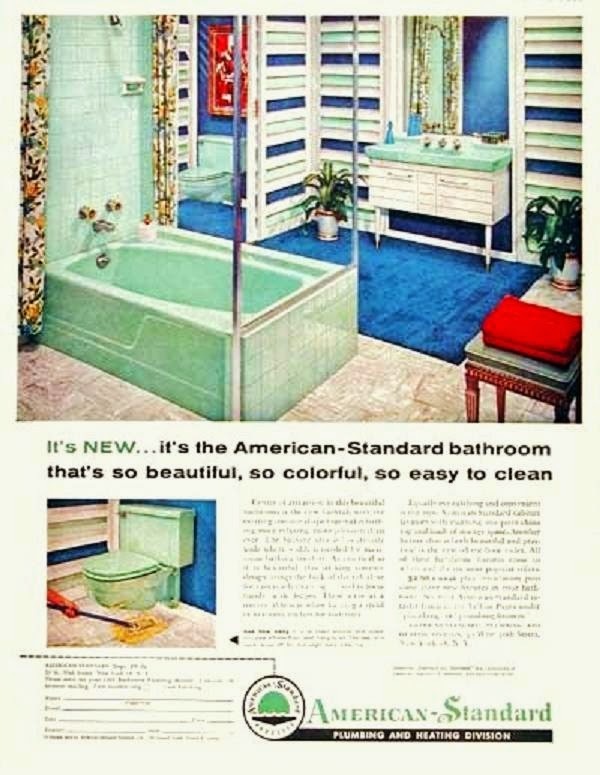 This is a great bathroom by American Standard. I love the mixing of the pale and bold blues. Especially that striped wallpaper. With the pop of reds. Amazing.